We take a look at products designed to help restablish skin serenity during times of emotional or physical stress. 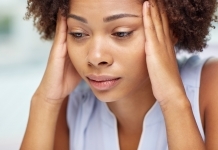 April is Stress Awareness Month; stress not only causes mental health issues but can also manifest itself in a number of physical ways, including in the skin. We are all affected by stress to varying degrees. Data from the Mental Health Foundation states that around 12 million adults in the UK see their GP with mental health problems each year. 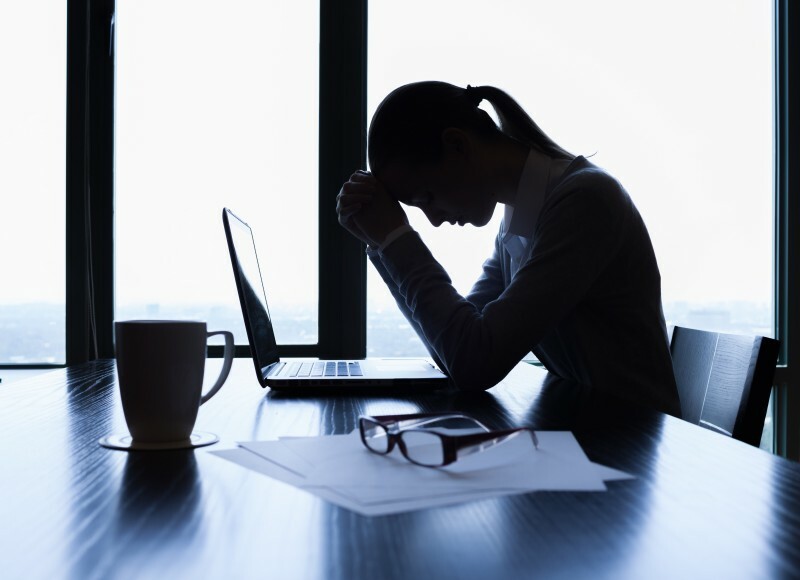 “With the pace of life today where we receive a constant bombardment of information, digital stress joined by daily stress is changing our lives and as a consequence skin can suffer from signs of stress and fatigue,” explains Carole Jones of Germaine de Capuccini. As well as making skin more sensitive and reactive, stress also aggravates existing issues such as psoriasis, eczema and rosacea. “When the skin is stressed, it has reduced capabilities to repair and renew itself and has increased sensitivity which can be expressed as itching, flushing, dryness and worsening of conditions like rosacea, eczema, acne and psoriasis,” explain The Finishing Touches Group. 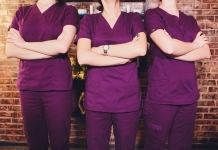 What's more, skin's naturally occurring collagen levels decrease during periods of stress. 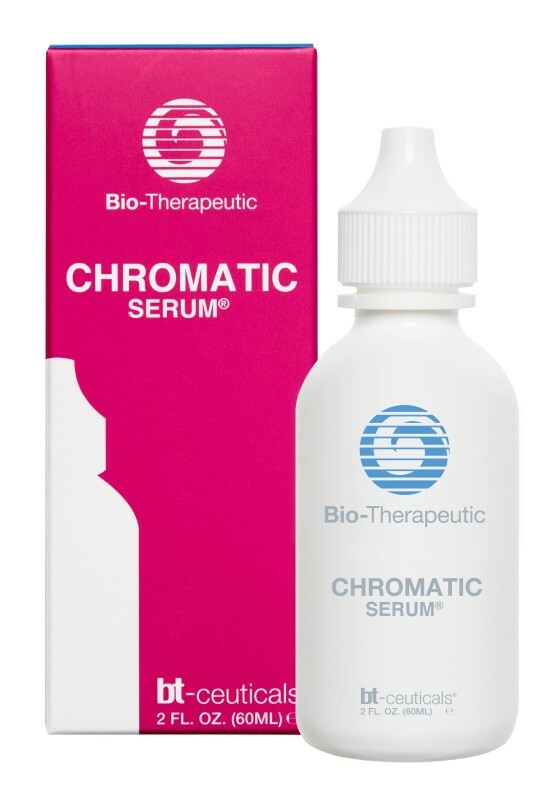 bt-ceuticals® Chromatic Serum® is formulated with Green Tea, antioxidants and Lavender to soothe and calm. The serum also includes acetyl to hydrate and calm inflammation, and Liquorice extract to decrease swelling whilst brightening skin. Use as a hydrator for sensitive, itchy, reactive skin, and apply under bt-ceuticals® moisturiser for dry, dehydrated or sensitive skins. The Crystal Clear Deluxe Facial uses a combination of the brand's two signature treatments, Crystal Clear Microdermabrasion and Crystal Clear Oxygen Therapy, to treat stressed skin. 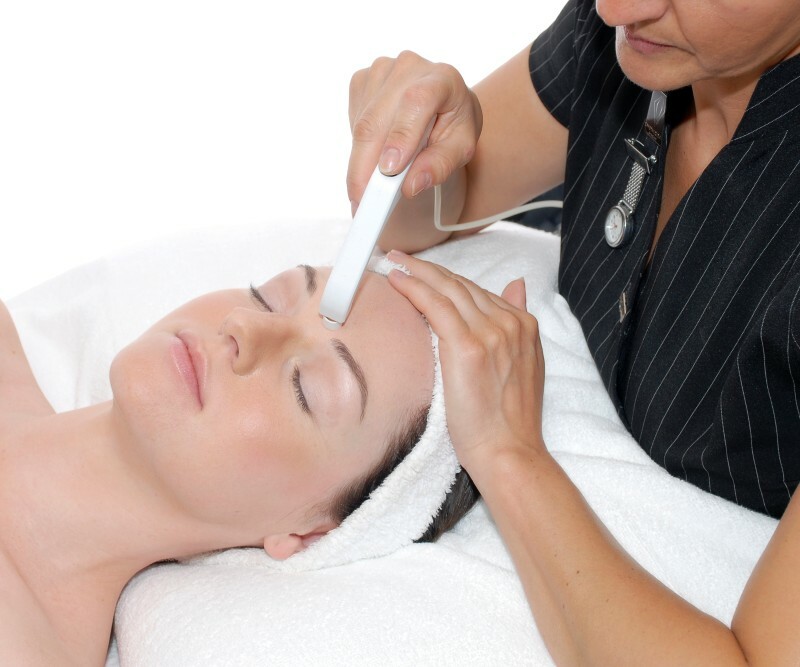 Gentle microdermabrasion removes dead skin cells followed by a pulsed jet of Oxygen. This, along with the active ingredients contained within the oxygen serum used in the treatment, provide an anti-bacterial effect to help prevent infections and bacteria, and eliminate toxins trapped within the skin. 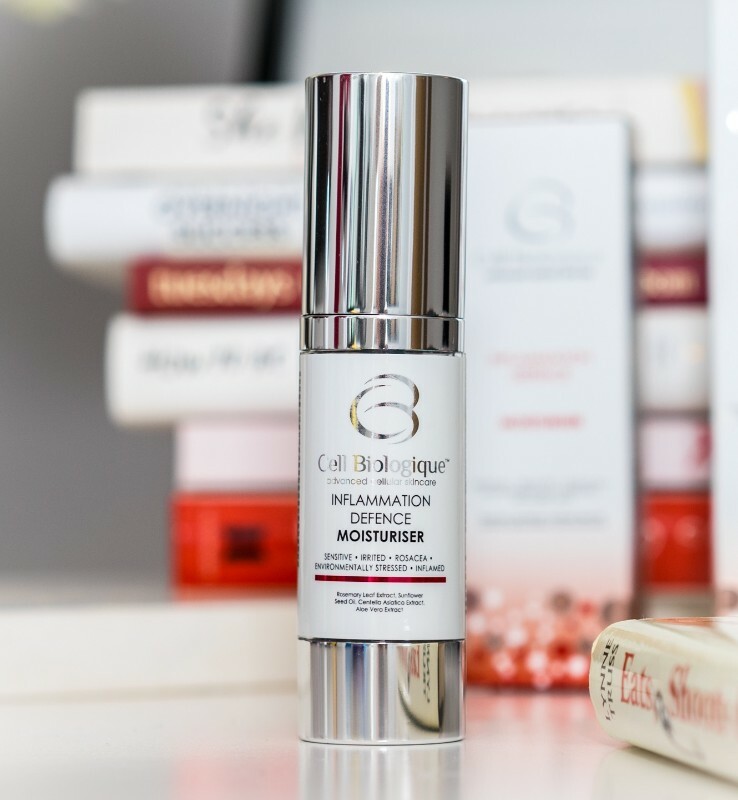 The Cell Biologique™ Inflammation Defence range reduces inflammation in the skin associated with stress caused by environmental and internal aggressors. Active ingredients target specific biological processes involved in sensitive skin and, due to advanced delivery systems, ingredients penetrate deep enough to have a soothing, anti-inflammatory and repairing effect on the skin. Key ingredients in the ID range include calming Cardiospermum halicacabum oil, anti-inflammatory cold pressed Echium oil, Biophytex yeast and botanical extract for soothing and reducing redness, and soothing and renewing Arnica Montana flower extract. 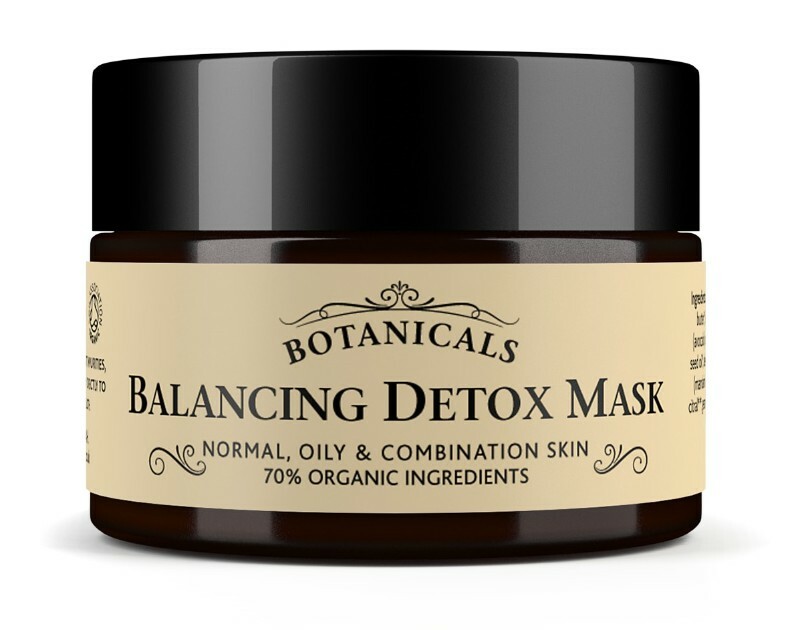 Botanicals Balancing Detox Mask is particularly good as an ‘SOS' treatment on combination, irritated, sensitive and oily skin types. Featuring Mediterranean Green Clay along with Avocado oil, Mandarin essential oil, and Marigold, this certified organic face mask helps draw out impurities and penetrates important nutrients to lower layers, leaving skin feeling cleansed, soothed and restored. It's also beneficial if used on breakouts overnight. 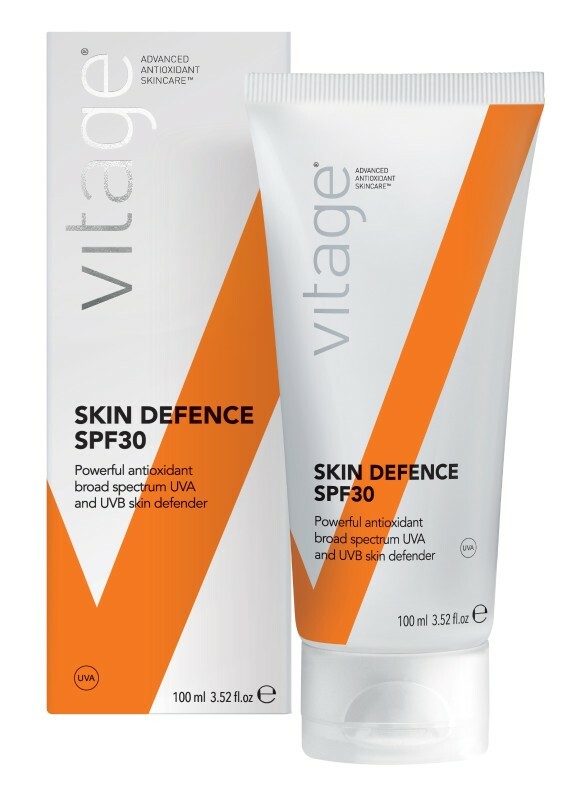 Vitage® Advanced Antioxidant Skincare™ Skin Defence SPF30 is a lightweight daily anti-ageing sun protector that defends the skin against UVA and UVB damage and environmental stress that can lead to premature ageing. Key ingredients include antioxidant, anti-ageing and anti-inflammatory Brazilian Green Tea and Multivitamin Cocktail, Golden Seaweed which reduces the effects of daily sun damage, hydrating Sodium Hyaluronate, and softening and moisturising Aloe Vera. On more oily skin types, the product can also be used as a daily protective moisturiser. 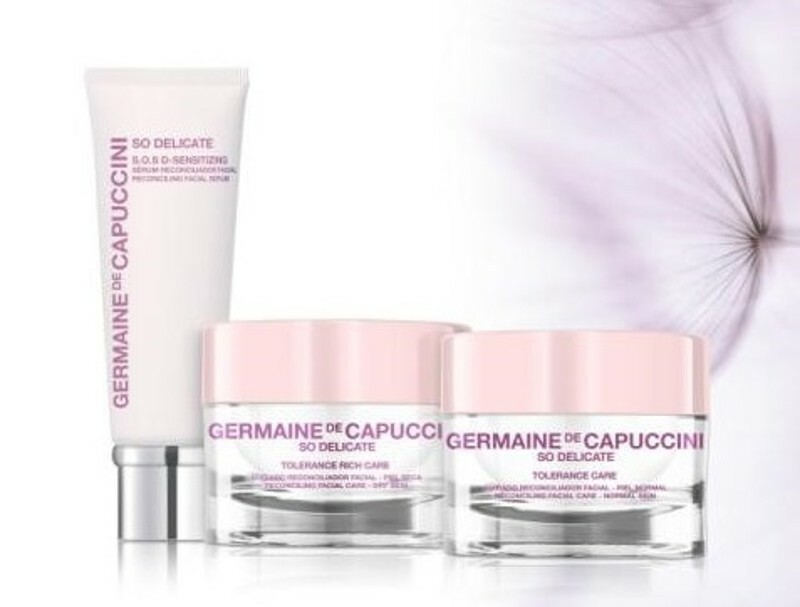 Germaine de Capuccini So Delicate products work to increase the skin's tolerance, stimulating defence mechanisms, soothing skin with an anti-inflammatory effect. Products in the line include So Delicate Tolerance Care Rich for very dry skin, So Delicate Tolerance Care for normal skin, and SOS -D-Sensitizing, a serum applied before any moisturiser with an intensive re-balancing and restructuring action for the most ultra-sensitive of skin. “Facial massage relieves tension, promotes relaxation and restores energy to your face and body by improving circulation,” says Antonia Burrell. Known for its holistic as well as cosmetic effects, cupping is a non-invasive way to sculpt, lift and contour the face. 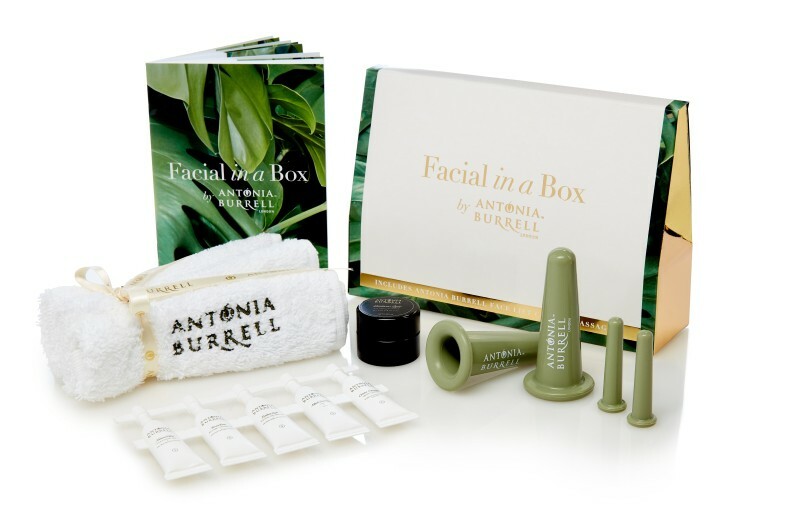 Antonia Burrell's Facial in a Box contains two AB Face Cups and two AB Eye Cups that are placed onto the skin where they create a gentle suction. This vacuum-like effect is then used to carry out a series of moves which help to improve texture, stimulate collagen, enhance radiance, reduce puffiness and encourage lymphatic drainage to give brighter, healthier, younger looking skin. Cupping can also help relieve tension in the facial muscles. 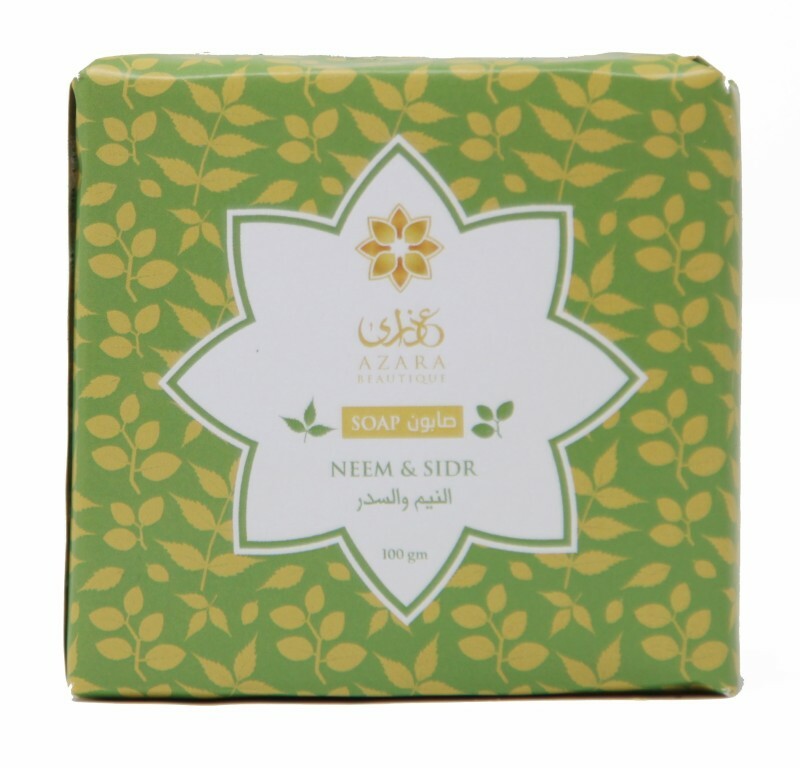 Alleviate skin ailments with Azara Beautique's Neem and Sidr soap, part of the range founded by a homeopath Dr Samira Zaidan and her daughter Dr Mona Alyedreessy. Formulated from wild organic Neem and Sidr trees in Saudi Arabia and Yemen, this soap bar helps to alleviate eczema and psoriasis. Martha Hill's Soothing Skin Relief features Meadowsweet and Tarvine to create a moisturiser to address problems associated with easily irritated skin and skin prone to allergic reaction, rosacea and dermatitis. Meadowsweet (Spirea Ulmaria) stimulates the skin's natural anti-bacterial defences and also reduces pores to improve both skin tone and texture, whilst Tarvine (Boerhavia Diffusa) is a natural anti-inflammatory which helps to protect skin from the harmful effects of both environmental and biological stress. Essentialle's Elasticity Boost Toning Face Oil is ideal for dehydrated skin. This 100% natural ultra-conditioning oil is packed with actives that hydrate, strengthen and repair, to reveal a defined, plumped and firm complexion. Key ingredients include Meadowfoam seed oil which accelerates skin's resilience, Radish seed oil to improve barrier function, and Sweet Orange oil to boost collagen production. Massage the oil into the skin in a slow, considered manner to unwind and relax. Heaven Skincare's Overnight Success Overnight Cream works overnight to release oxygen back into the skin to detoxify and replenish. Ideal for skin that is dull or damaged as well as keeping rosacea and acne at bay, the moisturiser features replenishing vitamin B5. 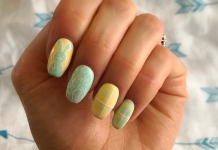 It also contains anti-ageing properties and increases collagen levels and elasticity production. Oxygen Success can also be used in the day and is especially suited to feeding skin during warmer temperatures. Katherine Daniels Sensitive Skin Rich Cream is a soothing, comforting fondant cream featuring neurocosmetic soothing ingredients, Pumpkin Seed extract and sea water. 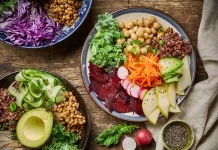 These reduce the release of aggressive messengers such as prostaglandins, interleukins and histamine in the skin and have a positive effect on the brain by inducing ‘feel good' hormones. As well as calming and soothing the skin, the cream also strengthens weakened skin as Pumpkin extract protects and repairs collagen and elastin fibres. 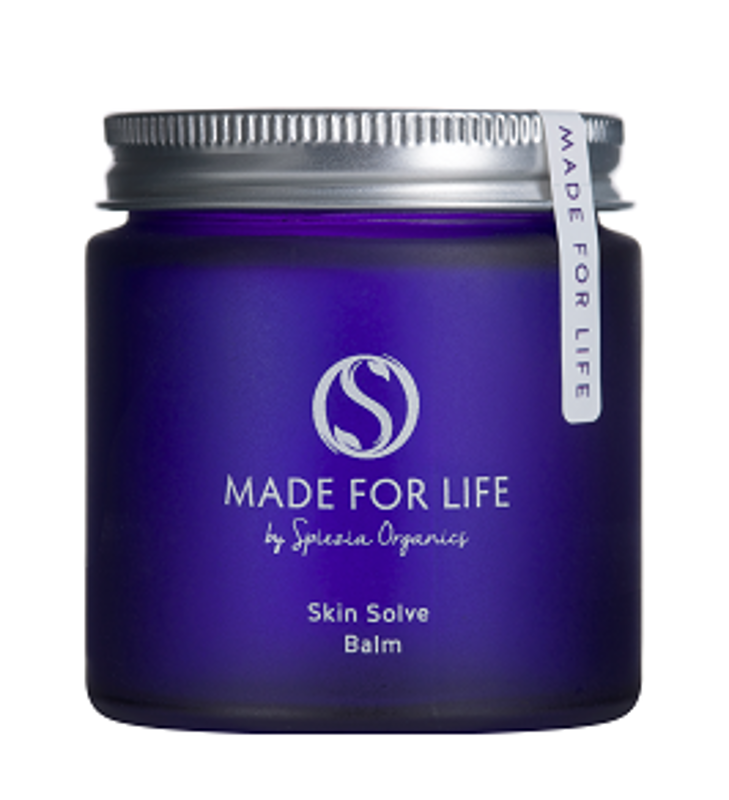 Made for Life Organics' Skin Solve Balm is a 100% organic balm for the treatment of Eczema, Rosacea and Psoriasis. The balm includes Calendula macerated in Olive oil, with St John's Wort and Rose which soothes sensitive skin irritations including eczema, rashes and dry skin. This all-purpose balm is also ideal for soothing sunburn, insect bites and stings, chapped skin, nappy rash and inflamed skin. Pierre René's Professional Medic range has been developed with sensitive skin in mind, and features 100% Hyaluronic Elixir features Hyaluronic Acid, found naturally in the skin but disrupted due to stress, leading to an increase in the appearance of lines and wrinkles. This Elixir binds water molecules to hydrate the skin as well as soothe and nourish, reducing the appearance of fine lines on the face. Other products include 100% Collagen Elixir, nominated for Best Facial Skincare Product at the Beauty UK Awards, deeply soothing and intensely regenerating Thermal Water cleanser, and Cleansing Emulsion featuring Aloe extract. 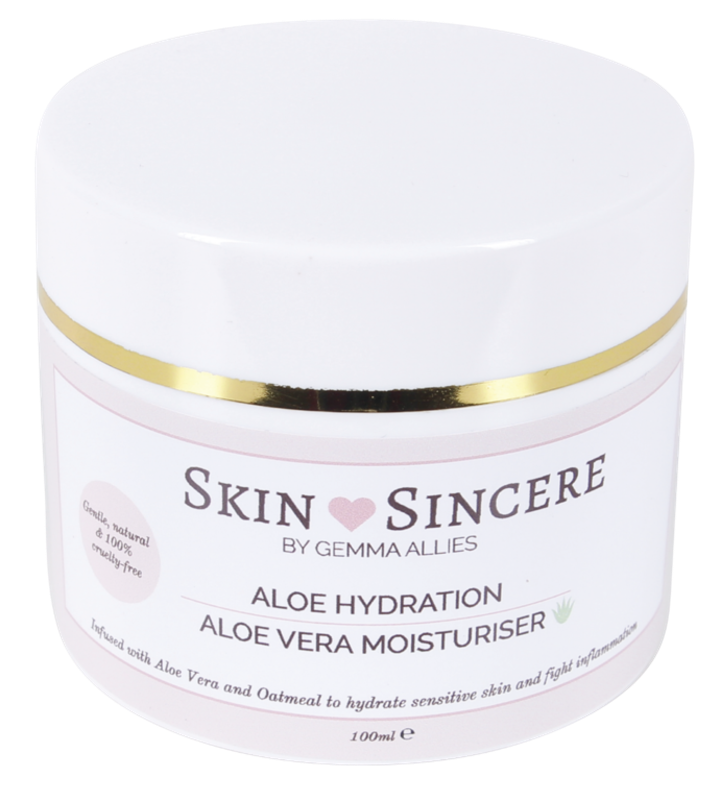 Skinsincere Aloe Hydration moisturiser has been created with sensitive skin in mind. Real Aloe Vera juice has been blended with soothing oatmeal to deliver an active anti-inflammatory formulation. Designed to hydrate and balance, this lightly whipped daily moisturiser delivers best results when used with the brand's Aloe Vera Cleanser and Aloe Vera Clarifying Skin Polish. Skyn Iceland's Rubberizing Peel Off Mask is a weekly vitamin C rich mask which supercharges stressed and depleted skin with an instant dose of deep hydration. Soothing and emollient Arctic Cloudberry Seed Oil – a complex blend of essential fatty acids, antioxidants and plant sterols – help naturally soothe and rebalance vulnerable, dry, stressed skin. In addition, Wintered Red Algae Complex (Chondrus Crispus), rich in marine minerals, floods skin with instant and lasting hydration while restoring a silky soft feel, and mineral-rich Icelandic Glacial Water replenishes nutrients that stress depletes. 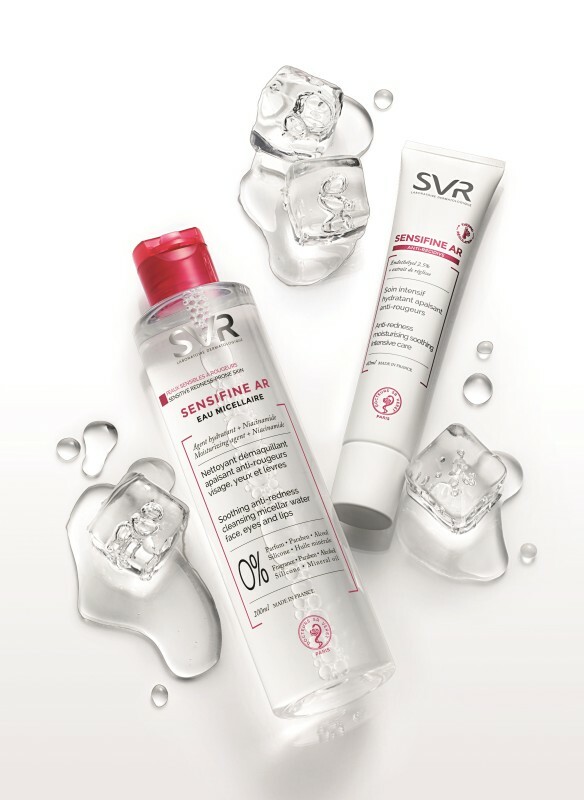 SVR's SENSIFINE range has been developed with a dermatological allergy specialist and is suitable for reactive, intolerant and poly-allergic skin. With ultra-minimalist formulas for optimal tolerance, the range only has 9-12 ingredients per formula and each excludes allergenic, irritating or unnecessary ingredients. The range includes Makeup Removing Cleanser, Miceller Eye Gel Ultra Soothing, Dermo-Soothing Fluid, and Crème which takes care of intolerant skin by hydrating and reducing reactivity. Nim-Véda Australia's Certified Organic Neem Oil is rich in fatty acids that build collagen and promote wound healing. This certified organic oil is ideal for treating varying skin diseases such as eczema due to its anti-fungal, anti-viral and anti-bacterial properties.